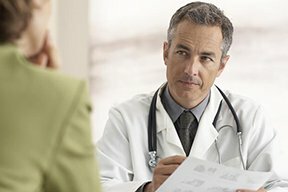 What are the likely causes of tinnitus suddenly affecting one ear when you have not been exposed to loud noise like a concert or auto racing event? “While tinnitus is often associated with hearing loss and loud noise exposure, there are approximately 200 health conditions associated with tinnitus, according to the American Tinnitus Association,” says Rivka Strom, AuD, CCC-A, Director of Audiology, Advanced Hearing NY Inc.
“Tinnitus may stem from anatomical abnormalities, disease [like a brain tumor], changes in biochemistry, injury, stress, new medications and most commonly from inner ear cell damage,” says Strom. “Allergies can also be a trigger for tinnitus. “Tinnitus can be perceived in one ear or both, but while the perception of tinnitus in one ear would necessitate a referral to an otolaryngologist to rule out an acoustic neuroma or other ear conditions, a cause is not always identified. “One ear condition that can be highly associated with unilateral tinnitus is excessive cerumen or ear wax. It’s been estimated that one out of every 1,000 cases of tinnitus in only one ear is caused by an acoustic neuroma, which is a brain tumor. So if you’ve noticed new-onset tinnitus in only one ear, there is a one in a thousand chance it’s an acoustic neuroma. Exposure to loud sounds does not cause one of these brain tumors. Nobody knows why they develop. This condition is also called vestibular Schwannoma, because it’s an overgrowth of the Schwann cells in the inner ear canal. Tinnitus in only one ear is sometimes the first symptom. Usually, though, hearing loss comes with it. And again, it is not associated with exposure to loud noise. An acoustic neuroma is benign. But if left untreated, it will grow locally and likely eventually press against the brainstem – and interfere with regulation of the heartbeat. But long before an acoustic neuroma—which is extremely slow growing—would get this far, the patient will have already been diagnosed, because the symptoms cannot be ignored (hearing loss and possibly ear pain, headache, balance problems and dizziness). Dr. Strom is a member of the American Speech Language and Hearing Association and has received several awards including Brooklyn College’s Excellence In Audiology Award. Why Can Tinnitus Be Louder in One Ear than the Other ? What Can Cause Tinnitus to Come and Go ? Can the Tinnitus of Acoustic Neuroma Be Subtle?